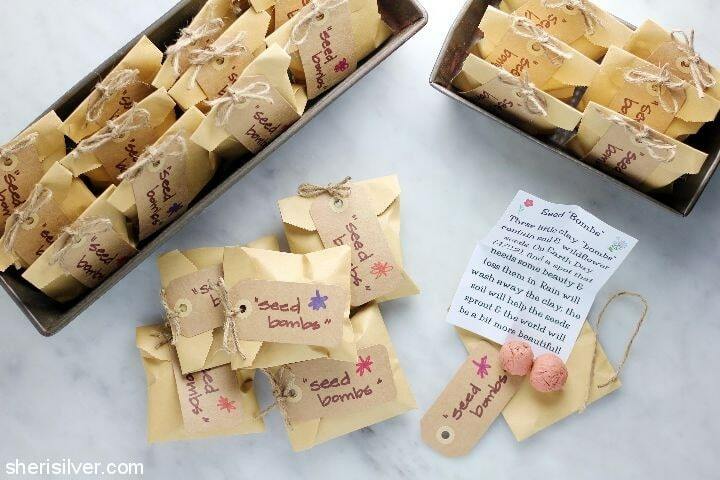 Spread some plant love with these fun seed bombs. It’s a great way to get the kids involved. Spring means enjoying time in our gardens. So we have an easy spring craft idea for you… painted birdhouses! Use up some of your newspaper by making this cute plantable paper pots! How to paint easy Pine Cone Zinneas a colorful home decor flowers spring craft. Easter centerpiece idea. Video step-sy-steps are included. Using buttons to make a spring card is a great way to bless someone you love! Mason jar crafts are super popular and it’s easy to see why! These fruit themed jars are perfect for a spring or summer time centerpiece or a variety of uses. Nothing says spring like a scented lavender wreath. Easy to make, this wreath comes together in about 15 minutes. Free flower vintage seed packets to download. Frame the art work or make seed packets from the free template. Take your regular clock up a notch by adding cute flowers to it! Perfect for an office, craft room, or nursery! If you’re looking for easy spring crafts to celebrate the warmer weather, try this simple garden card. DIY Flower Press. Follow these simple steps to see how to make with your own handmade flower press book. Bring the fresh aroma of spring flowers inside with this DIY candle. It’s pretty easy to make, and it’s all-natural! It’s so easy to make these paint chip bookmarks that look like spring tulips. Kids will love this craft, and if you have old paint chips . . . it’s free! This watering can is a gorgeous staple for your garden. It pours crystals that sparkle so beautifully in the sun. Create fun spring garden rock labels for all your veggies and flowers! Learn how to make chalk paint mason jars with succulents for spring. Perfect for a kitchen windowsill or a seasonal mantel! A cute collection of vintage Easter postcards. Some of them have also been placed on a printable Easter favour box. How to Make Paper Wisteria – This is one of those glorious DIYS that *looks* so much more complicated than it is. Easy, inexpensive DIY’s are my jam. These DIY mason jar flower bouquets create a bold centerpiece with a pop of color perfect for any party. To celebrate the sunshine, warmer weather, daffodils, greenery, and the birds singing, I decided to create a tabletop display. Spring and Mother’s Day is right around the corner so it’s time to get started on those handmade gifts that mom and grandma love so much! Here’s one of my all-time favorite spring crafts. Learn how to create a fun glittery flower truck sign that includes colorful paper flowers! A perfect decoration for spring and summer! Peonies scream spring! These paper flowers can be made quickly and frugally with just a few supplies. We’ve been hatching up some extra fun ideas for Spring & Easter. I was really excited when I got the idea to make cute little carrots out of EOS Tangerine Lip Balm. 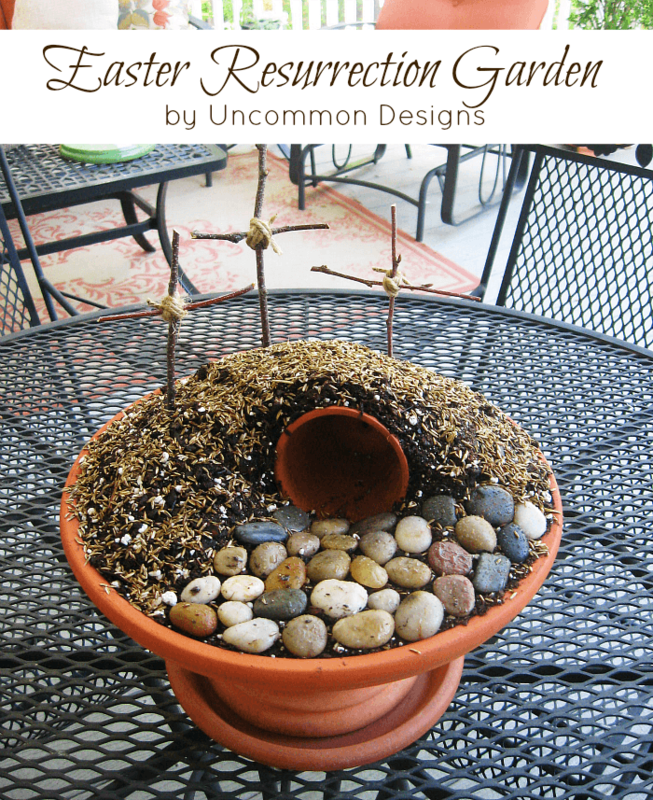 Celebrate the meaning of the Easter season with this step by step tutorial to create a Easter Resurrection Garden. Turn an old bar cart from drab to fab and give it a new use in the garden. See how to repurpose an old beverage cart into a garden cart. A simple painted flower pot project. Beautify your garden with this flower pot painting idea using stencils and chalk paint. Learn how to make a resin paperweight with real leaves. A beautiful, nature-inspired fall or spring craft idea. Make fabric plant pots with Mod Podge Ultra. 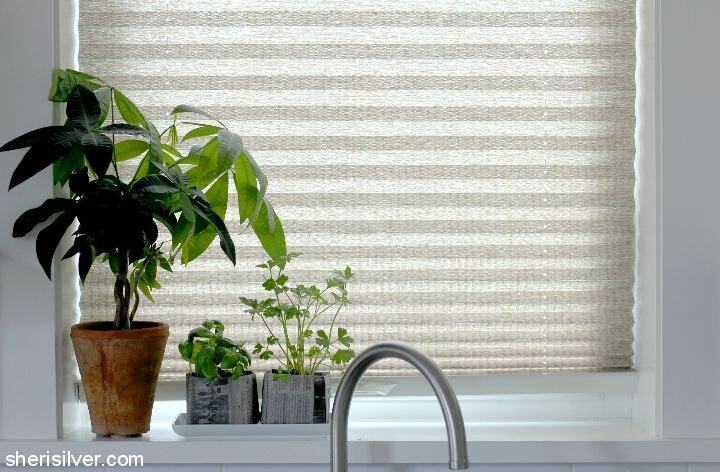 Learn all about covering plant pots with fabric for your spring decor! These are okay for indoor or outdoor use! Repurposing jars can be easy and a ton of fun. Check out these cute poka-dots. Spring is here so I have decided to to design a 2-step craft project and create a Kool-Aid Dyed Yarn DIY Plant Pot. Well, thanks for checking out these 35 spring crafts. I sure hope they got your creative juices flowing! And don’t forget to check out these other spring inspired posts!